Cooling needs and chiller rentals should not break your budget. You should be able to keep your business or facility operating smoothly. One of the ways to ensure comfort, security and air quality is to manage climate control. You can manage climate control needs for your facility with ease. Chiller rentals can be difficult to choose from. There are some things that you should look for when deciding on a final investment. 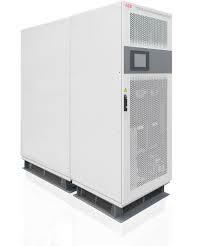 Chillers vary in size, capacity and function. It is necessary to consider what the chiller will require in order to function properly. The design of your chiller and how it will be used will affect the price as well as where it will be installed. Chiller rentals function differently depending on how they exchange water. Finally, One of the greatest factors in maintaining a chiller is upkeep. Alpha Energy Solutions provides exceptional support and service for chiller rentals. Based on your need, we can provide both long and short-term solutions for installation. In addition, we can also provide parts support if you need it. We are able to provide great parts support because we have access to all of the leading manufacturer brands. Having access to the top brands allows us to get your parts quickly in the event of a repair. Obtaining parts in an emergency or for regular maintenance will ensure that your system is running efficiently. In addition, we take extensive measure to ensure that your chiller is making the best use of energy. Energy efficiency can mean a great deal to your overall budget. In addition to service, selection and support, we can provide preventative maintenance plans for your chiller. Preventative maintenance will extend the life-cycle of your system and reduce the impact of mechanical breakdowns and system failures. In the event of a repair, our technicians are available 24/7 to assist you with any fixes. Preventative maintenance will provide system reports, seasonal updates and monitoring to verify that your chiller is running at the best level of performance.